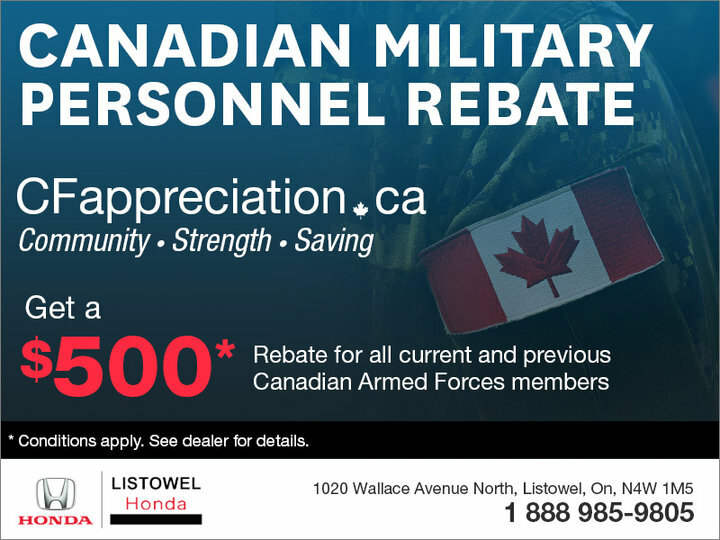 Listowel Honda wants to say thanks for your honourable service! Qualified personnel get a $500 rebate the purchase of a new Honda vehicle. All current and previous Canadian Armed Forces members are eligible to receive this offer.